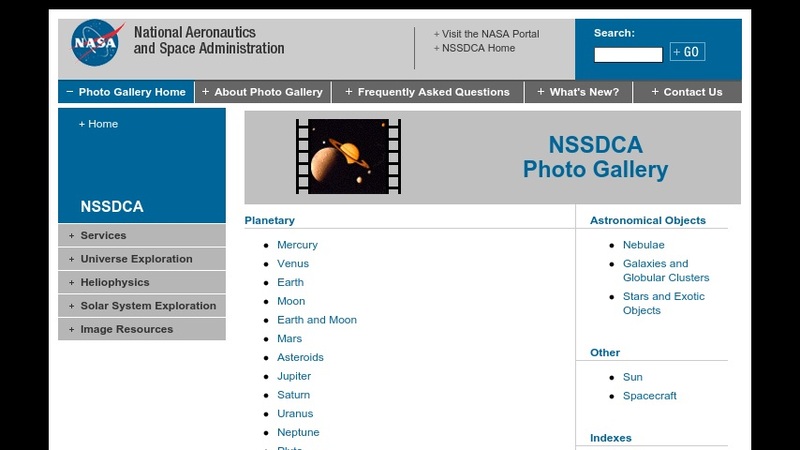 This photo gallery features an extensive selection of imagery of many types of objects in space. The gallery is divided by type of object: solar system (planets, asteroids, comets, etc. ), astronomical objects (nebulae, galaxies. etc. ), and other images (sun, spacecraft). Detailed captions are provided for some images. Indices are provided for imagery from three major sources: Galileo, the Hubble Space Telescope, and Voyager. A section on frequently asked questions and links to other imagery and related topics are also included.